Kumara Giri Kindergarten had been on our waiting list for support for quite some time, so when Mark donated, we could not wait to give the school a mini renovation. Located at the foot of Mount Agung in Karengasem, the village has had some hard times. With the constant threat of eruption, everybody is fearful of having to leave at any time. 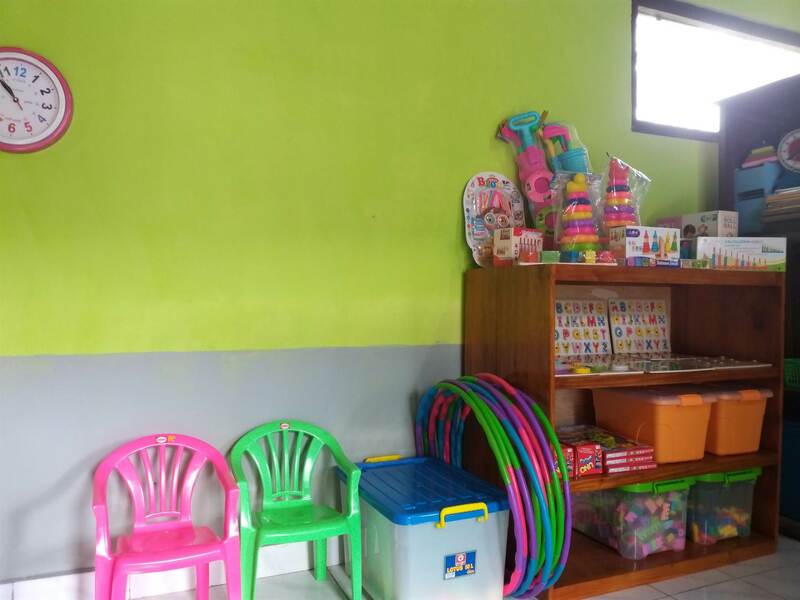 The community has tried hard to make their kindergarten a great learning space. 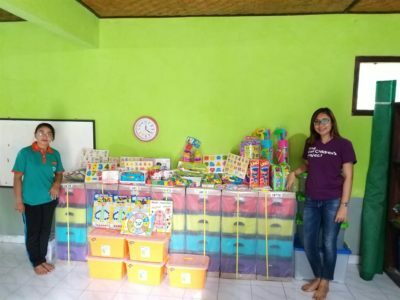 With three teachers from the community, the kindergarten runs 2 hours every morning. 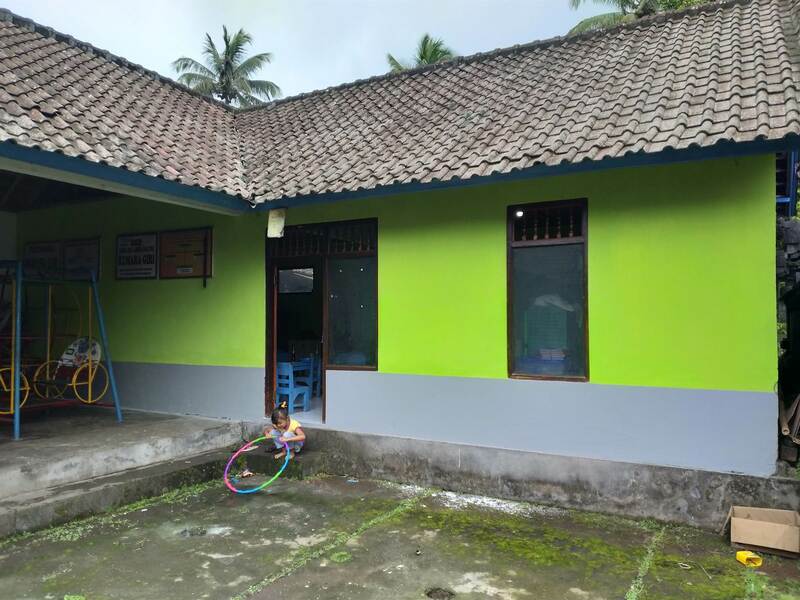 Previously they had no building, so the community gave the village ‘banjar’ building as a school. There was a rarely used store room that they decided to turn into a kindergarten. 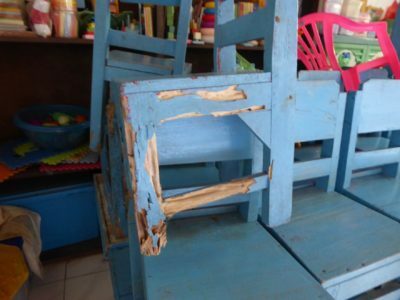 Despite the fantastic effort from the community and teachers, the school was struggling. The roof leaked and all the furniture was infested with termites. Teachers tried hard, but had very few supplies to teach with. 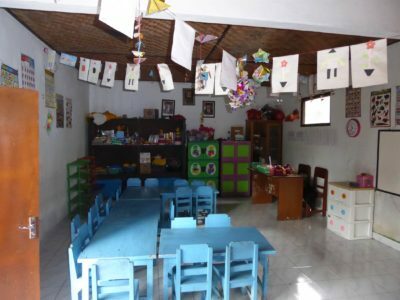 The walls had mould growing up them and the learning space was all round poor quality. 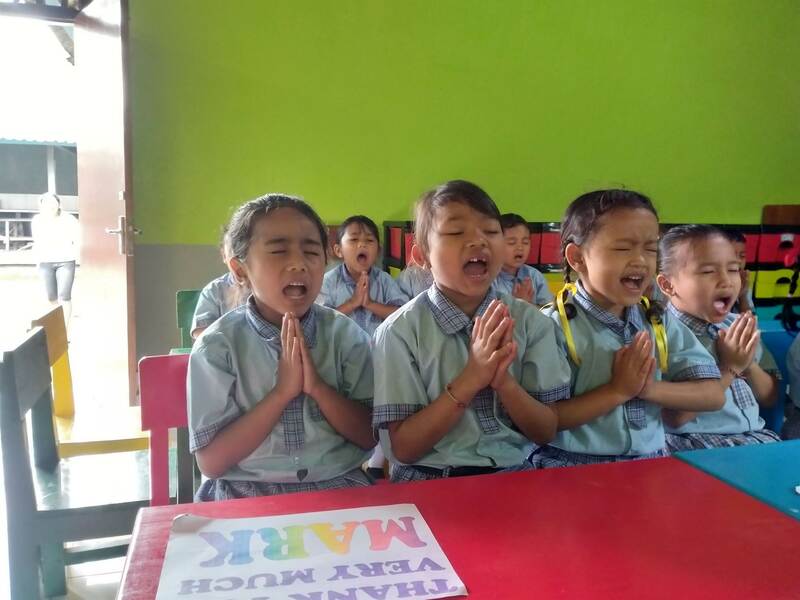 Having read about Kumara Giri Kindergarten on our school waiting list, Mark got in touch and donated funds to purchase new furniture and school supplies. 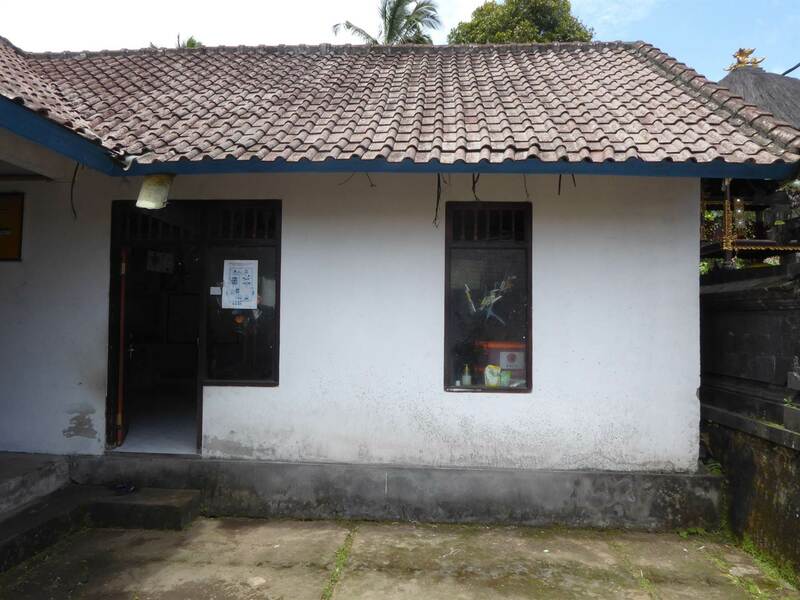 It also helped us fix the leaking roof, repaint with mould proof paint and give new supplies. Children were so excited on delivery day that they helped to move the supplies and furniture in themselves. 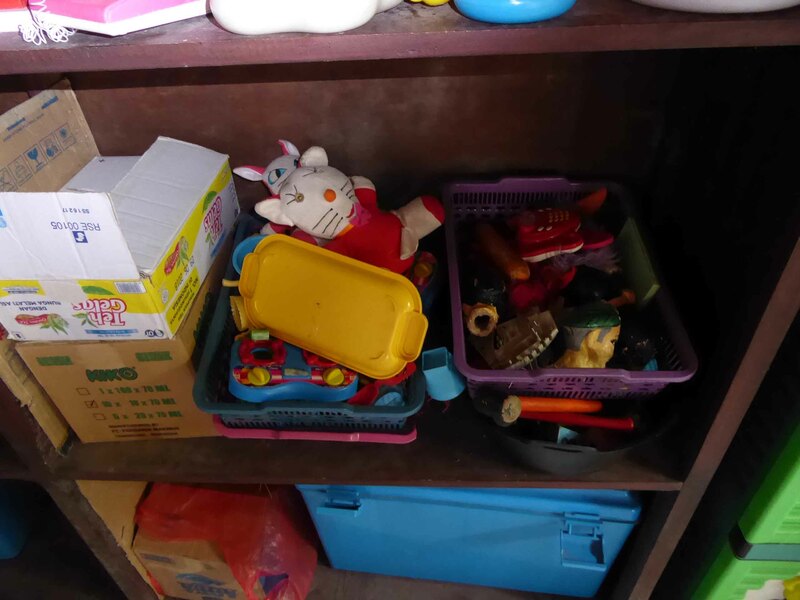 The support provides a great temporary solution until we can work on creating a new dedicated kindergarten elsewhere. For now, the school is a much more fun and exciting place to be, with teachers able to give children a better quality of eduction. If you would like to fund a school renovation, take a look at our Fund a School page, which includes a list of kindergartens needing support. 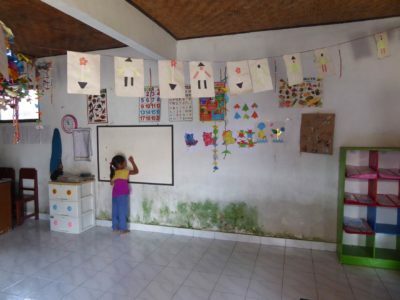 Most kindergartens in Bali lack supplies and support. 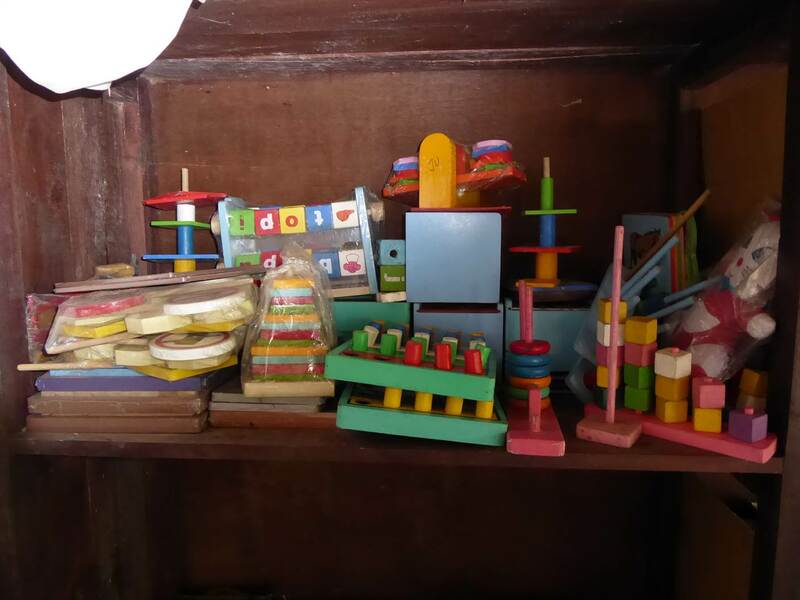 We are helping to improve the quality of education by providing these. Bali Children’s Project is proud to help schools and libraries improve, as well as showing donors exactly how their funds are spent. Please help us to transform more schools in Bali.